The Website is brought to you by Natcon UK Ltd. Natcon UK Ltd believes it is important to protect your Personal Data (as defined in the Data Protection Act 1998) and we are committed to giving you a personalised service that meets your needs in a way that also protects your privacy. This policy explains how we may collect Personal Data about you. It also explains some of the security measures we take to protect your Personal Data, and tells you certain things we will do and not do. You should read this policy in conjunction with the Website Terms. 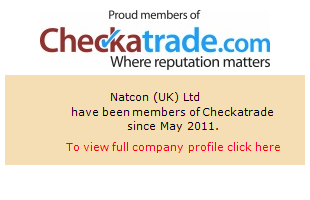 If you need details of those credit agencies and fraud prevention agencies from which we obtain and with which we record information about you, please write to our Data Protection Manager at Natcon UK Ltd, 71 Moat Road, East Grinstead, West Sussex, RH19 3LJ. If you would like access to the Personal Data that we hold about you, you can do this by emailing us at info@natconuk.co.uk or writing to us at the address noted above. There may be a nominal charge of £10 to cover administrative costs. We aim to keep the Personal Data we hold about you accurate and up to date. If you tell us that we are holding any inaccurate Personal Data about you, we will delete it or correct it promptly. Please email us at info@natconuk.co.uk or write to us at the address above to update your Personal Data.